The Gift study focuses on the abundance of gifts God showers upon us and how the Holy Spirit can help us open these gifts. Sign up below. Dinner is included for all evening studies. If you would like to take part in providing a meal please sign up here www.signupgenius.com/go/10C0B4CAAAD28ABFF2-2019 or in the Upper Gallery after Mass. 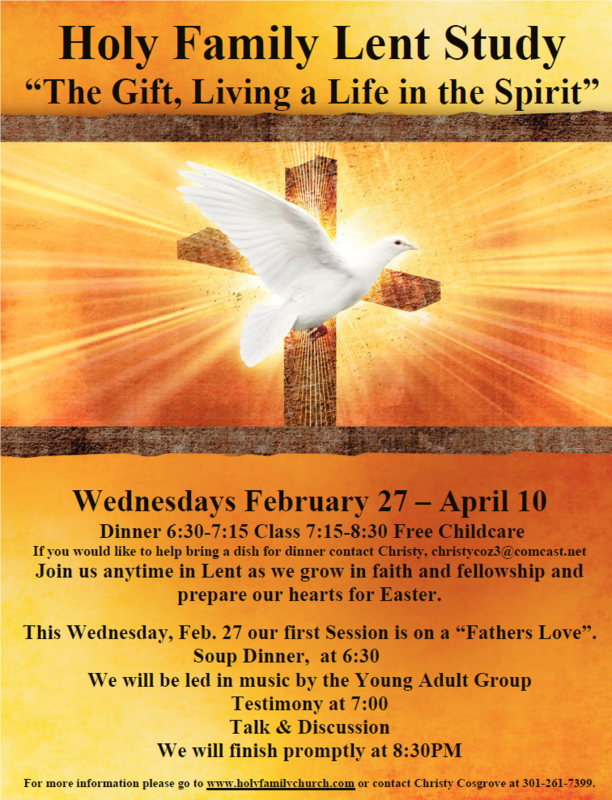 Please register here for the Lenten Study.